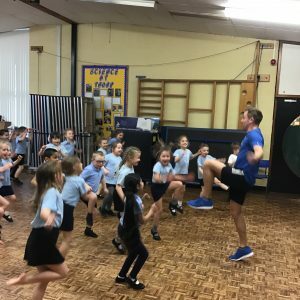 Freddie fit was in school last week. 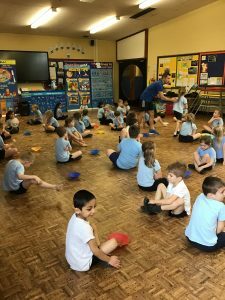 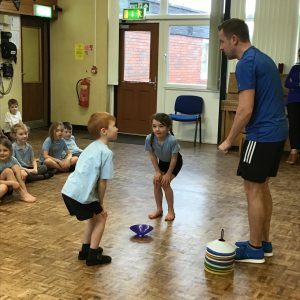 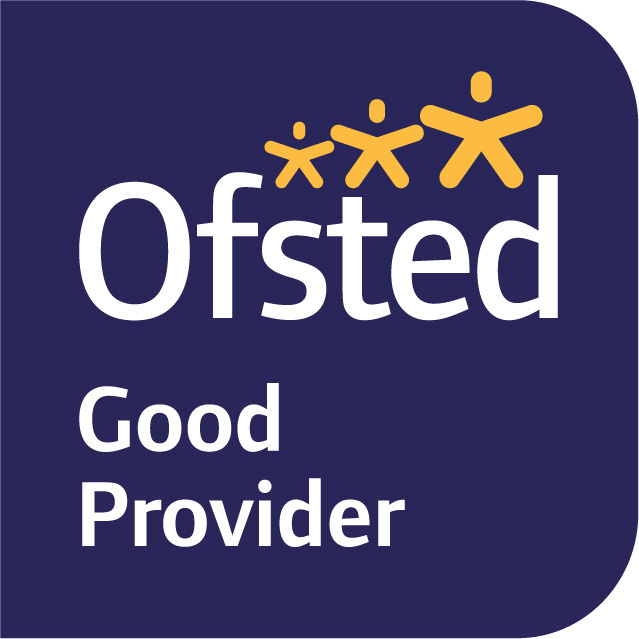 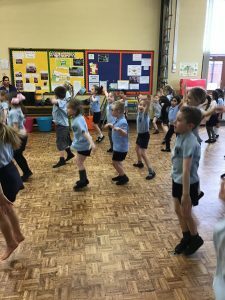 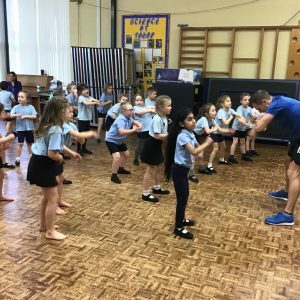 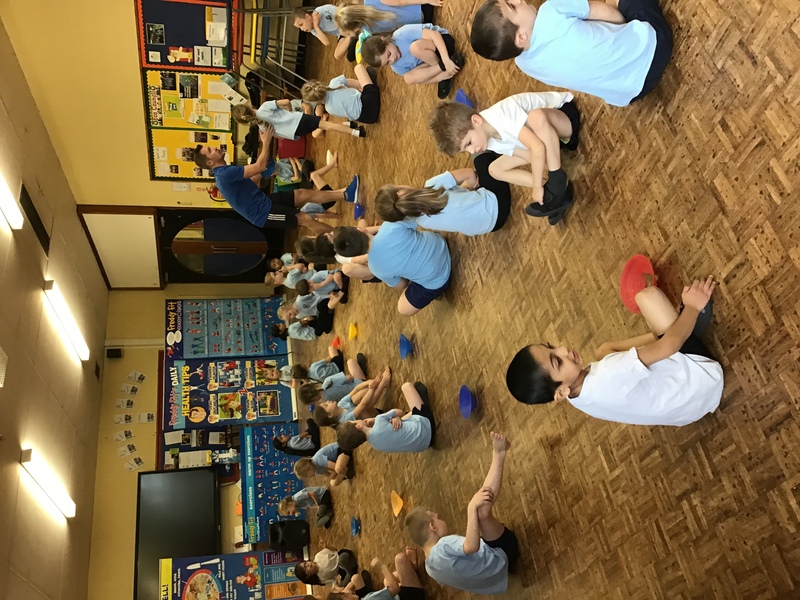 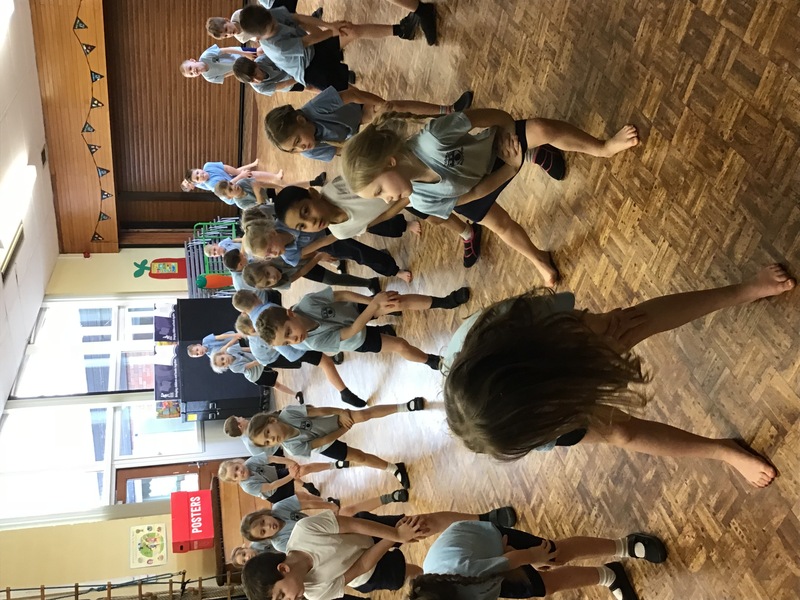 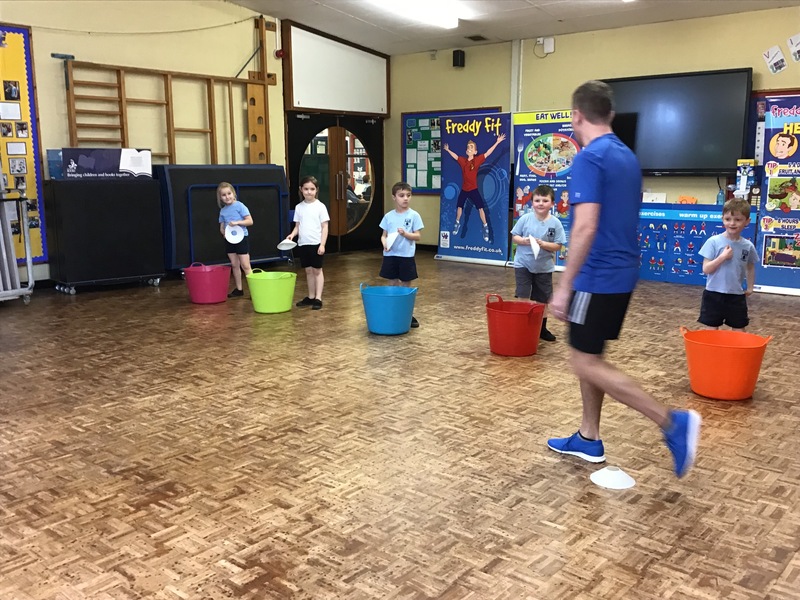 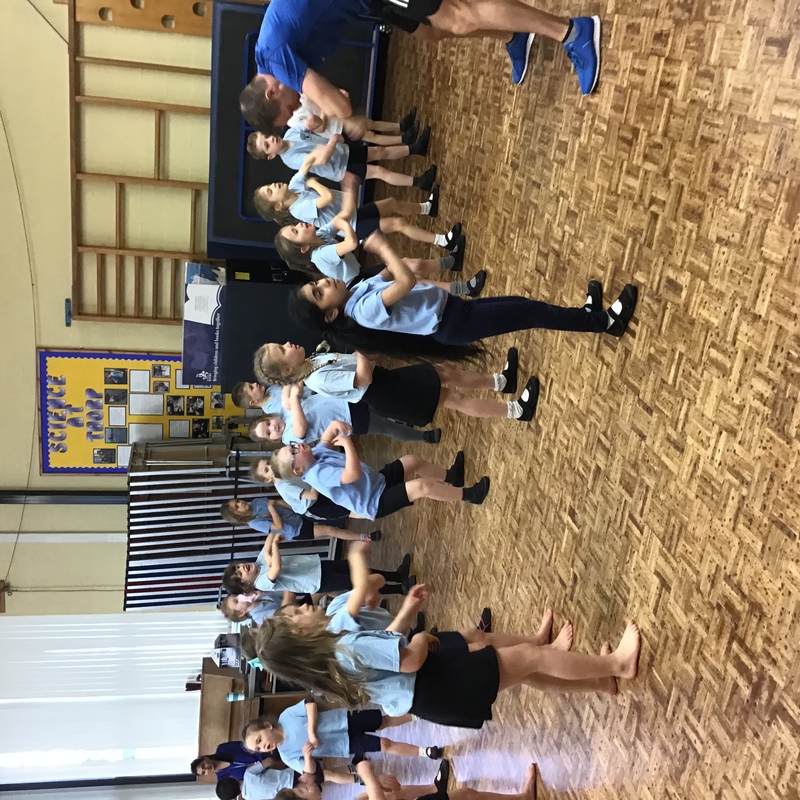 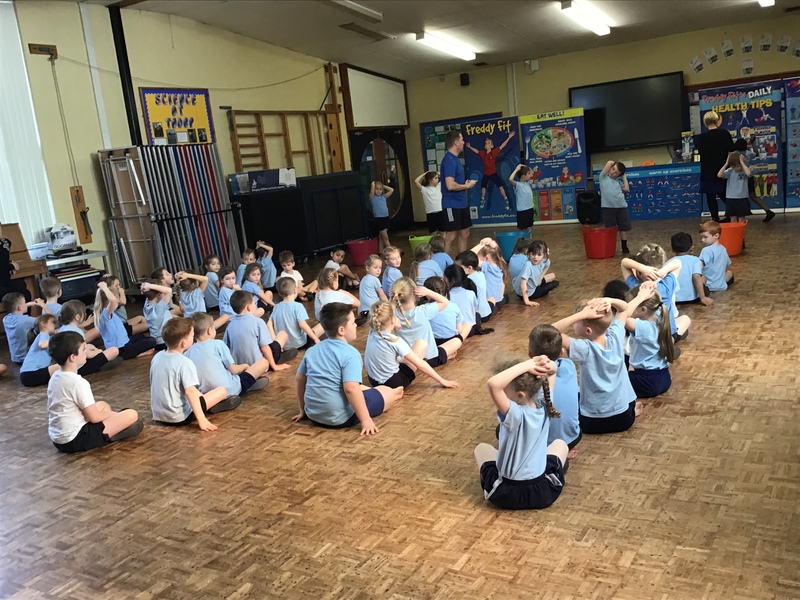 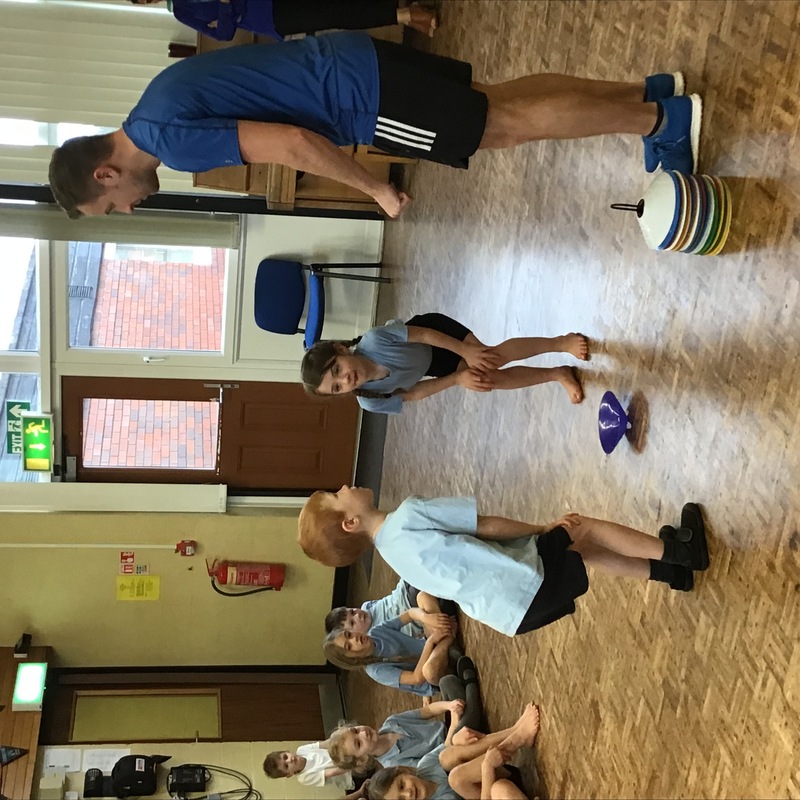 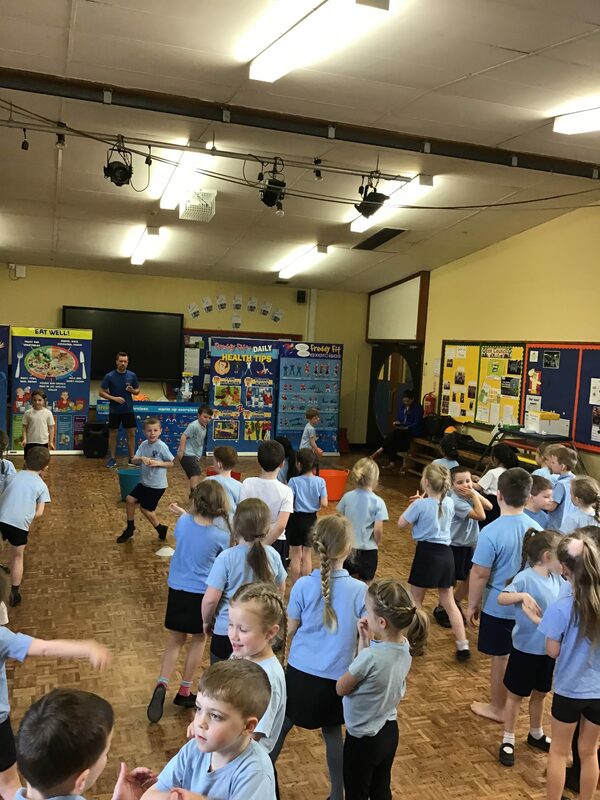 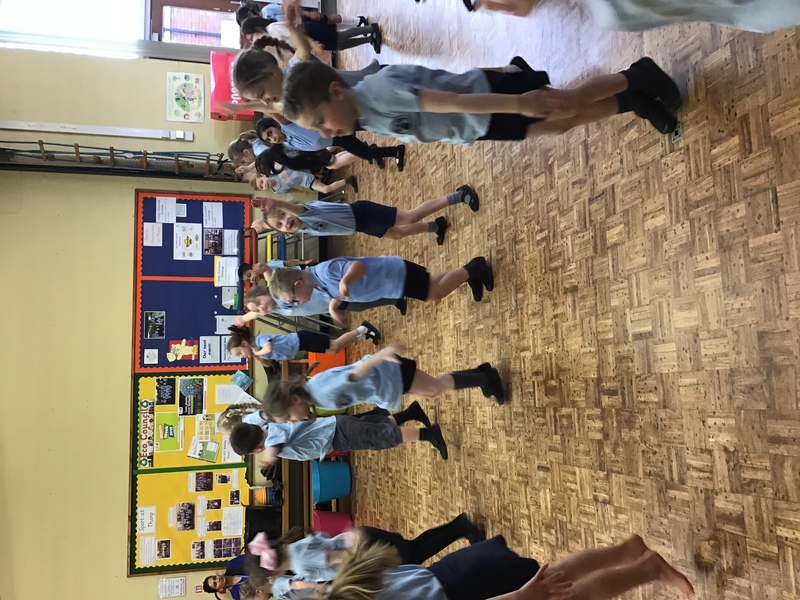 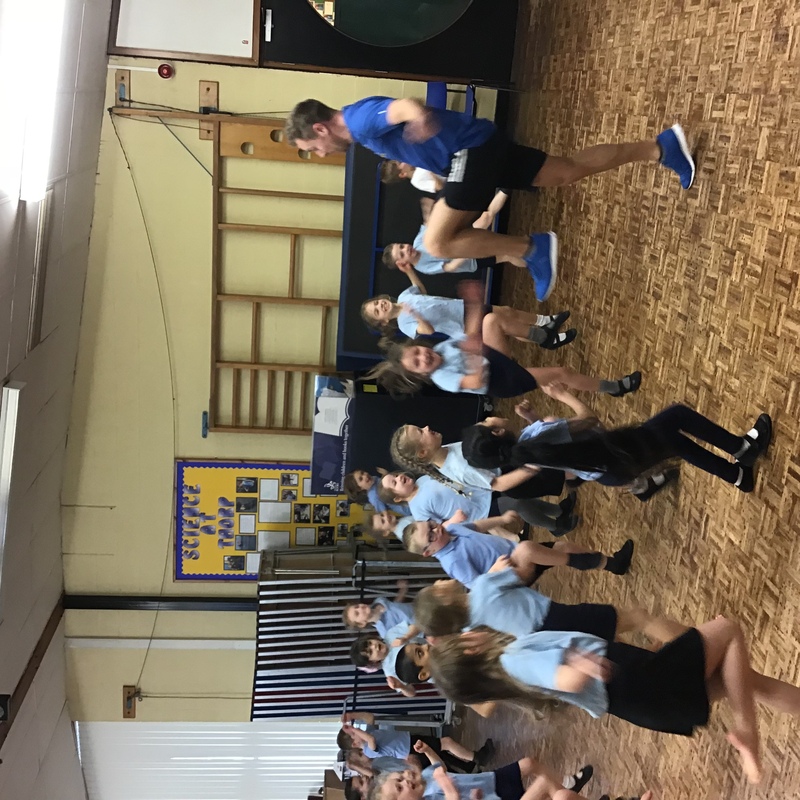 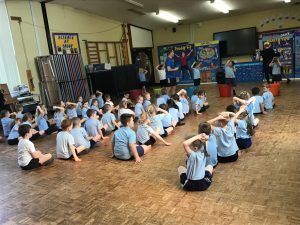 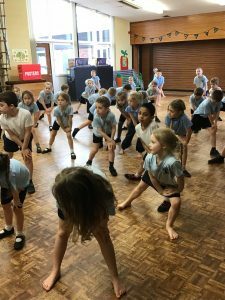 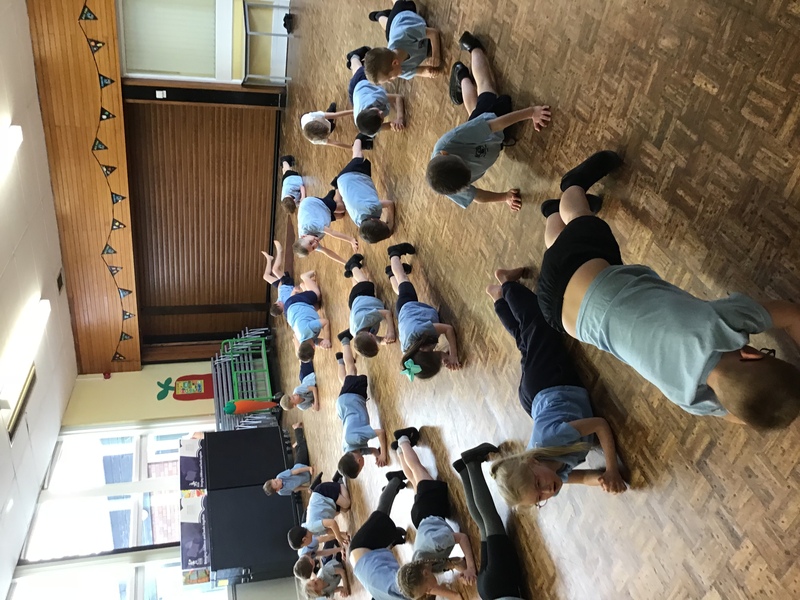 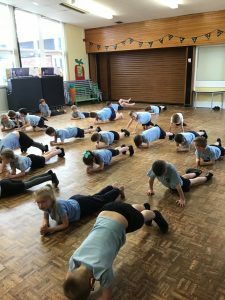 Year 1 was with year 2 and had lots of fun doing excersise and developing our aiming techniques. 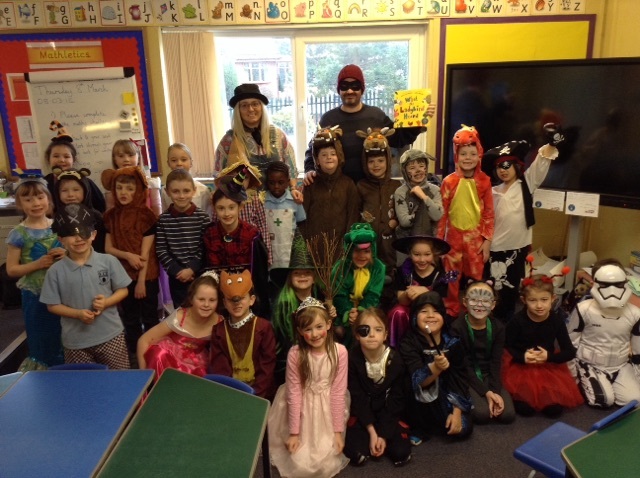 On World Book Day we dressed up as a character from our favourite Julia Donaldson book. 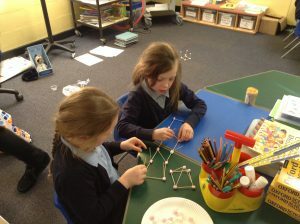 We did lots of fun activities such as making our own books, bookmarks and masks. In assembly we showed our costumes to the rest of the school in a parade and shared our favourite Julia Donaldson books. Have a look at Twitter and check out our assembly photos! 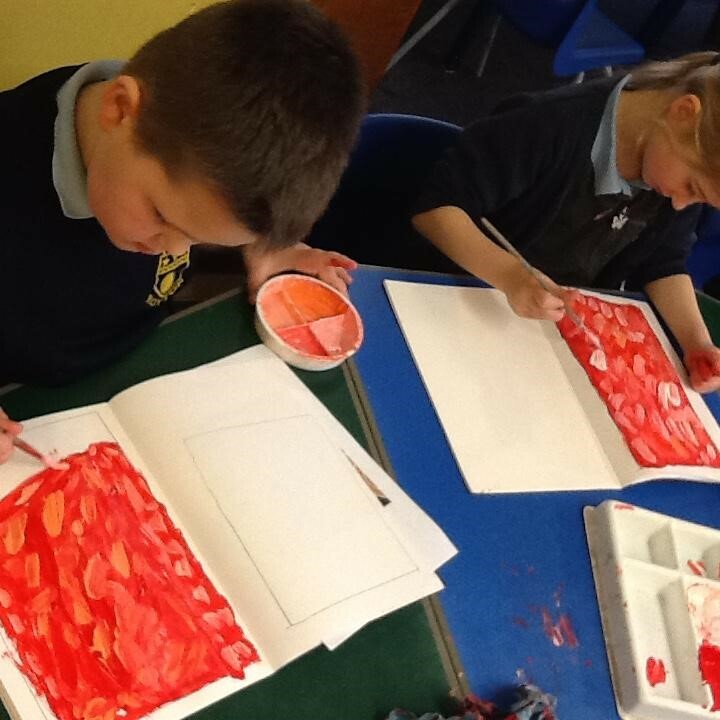 Our Topic work this half term is all about Australia and we have been looking at Aboriginal art work. 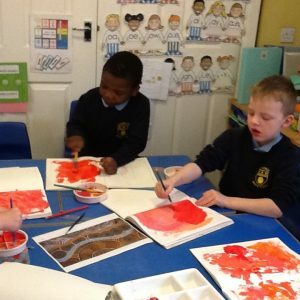 We have seen some of Gloria Petyarre’s paintings who is an Australian Aboriginal artist and she has inspired us all to look how we can change the way we paint by using a range of different brush strokes. 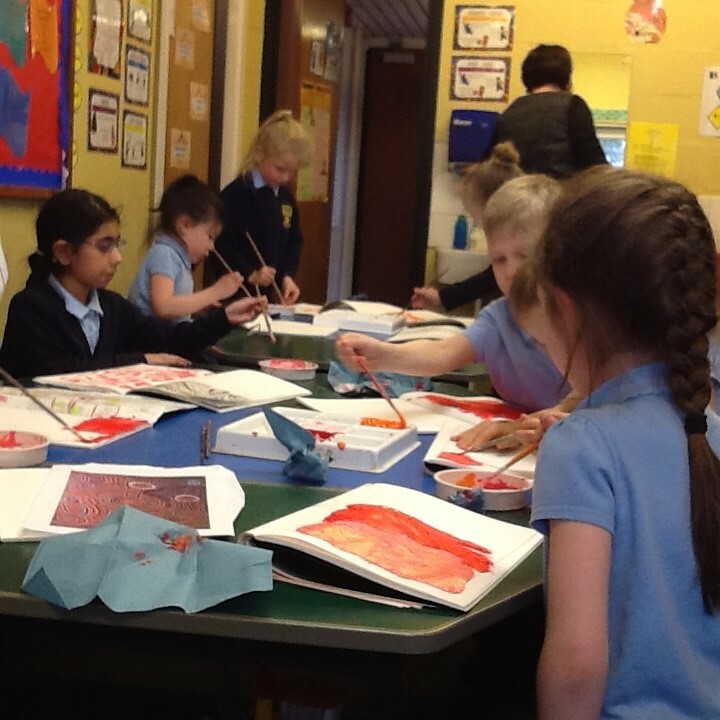 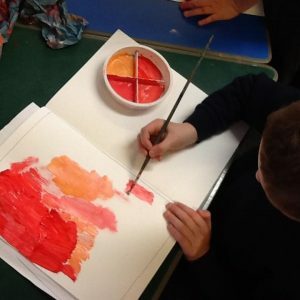 On Friday afternoon we produced some lovely paintings. We used 3 different colours and mixed them together to create different shades which as you can see from the photographs look pretty amazing. 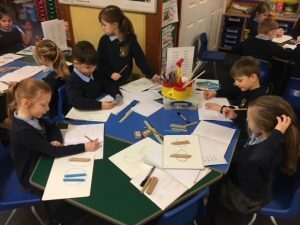 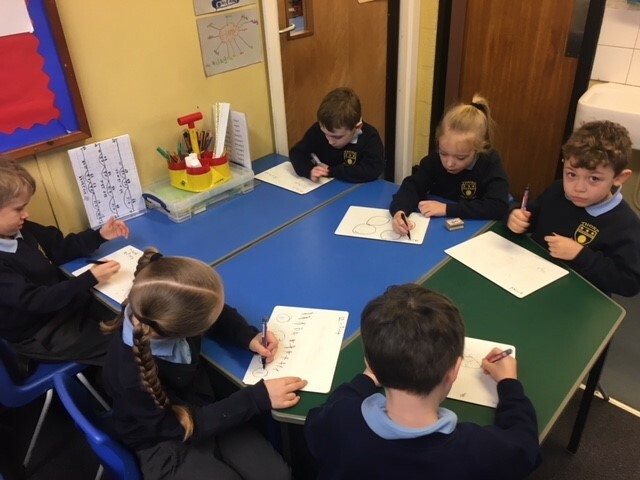 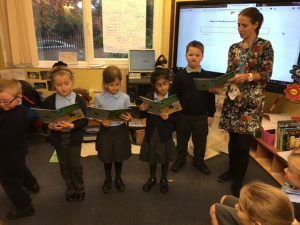 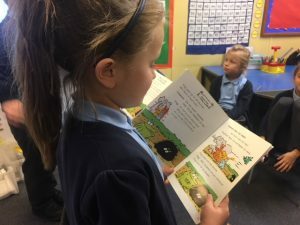 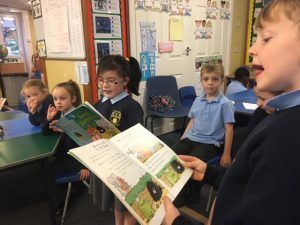 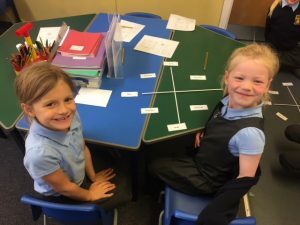 During guided reading, some of our children have been reading the play-script for ‘The Giant Jumperee.’ They practised their lines and talked about the expression they would have to use in their voices. 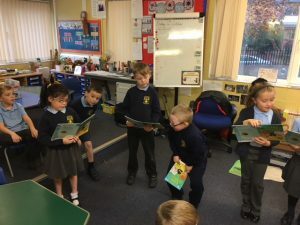 When they were ready, they performed the play for the whole class, who really enjoyed it. 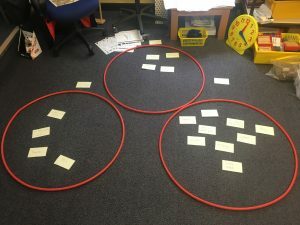 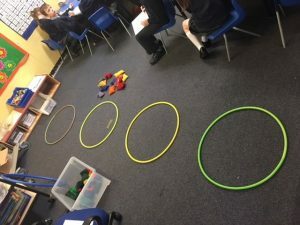 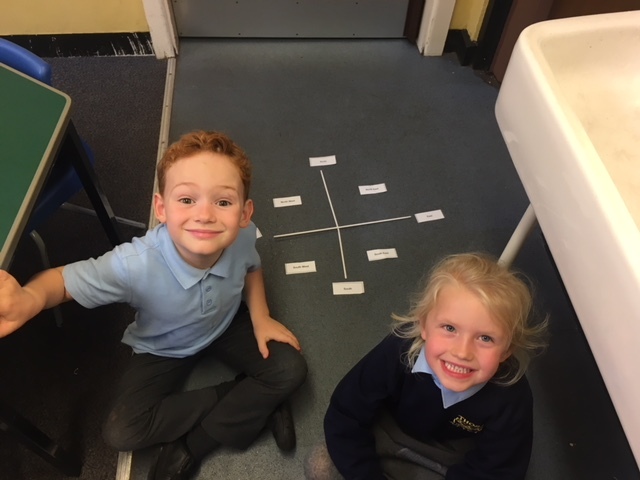 Year 2 have been classifying different things into 3 groups for their Science learning in ‘Living Things and their Habitats.’ We used hula hoops to create 3 different groups. 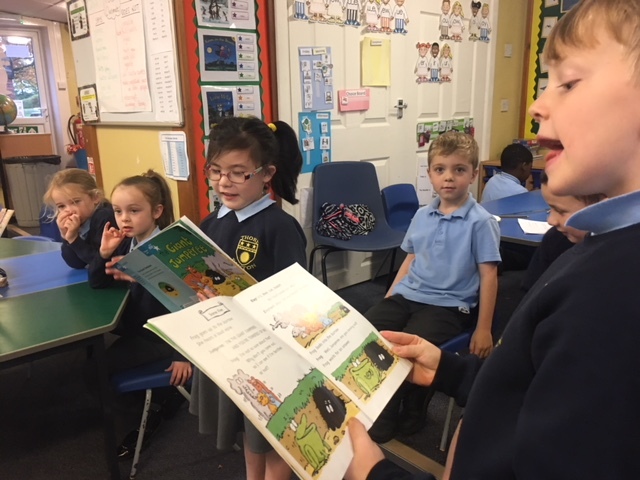 Year 2 have been celebrating World Book Day today and have been inspired by our class author, Julia Donaldson. 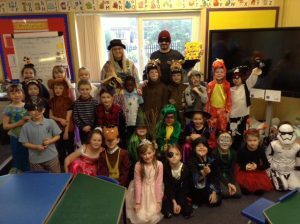 How many characters can you spot in our picture? 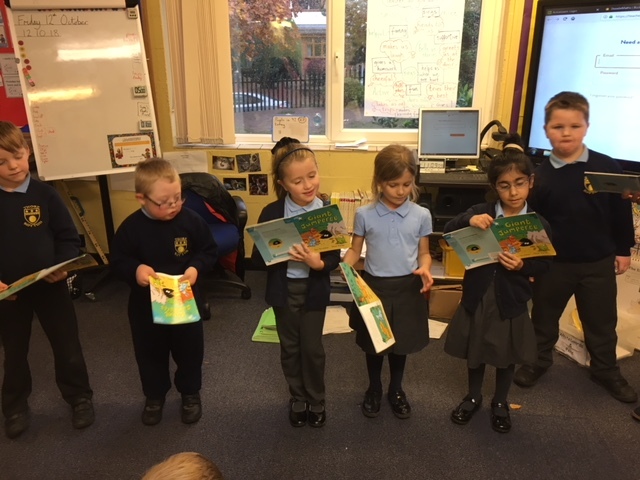 We have completed lots of activities, including making a talking book, changing the expression and volume in our voices. 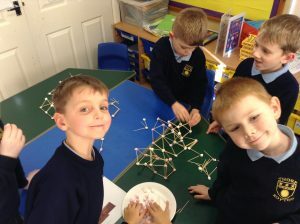 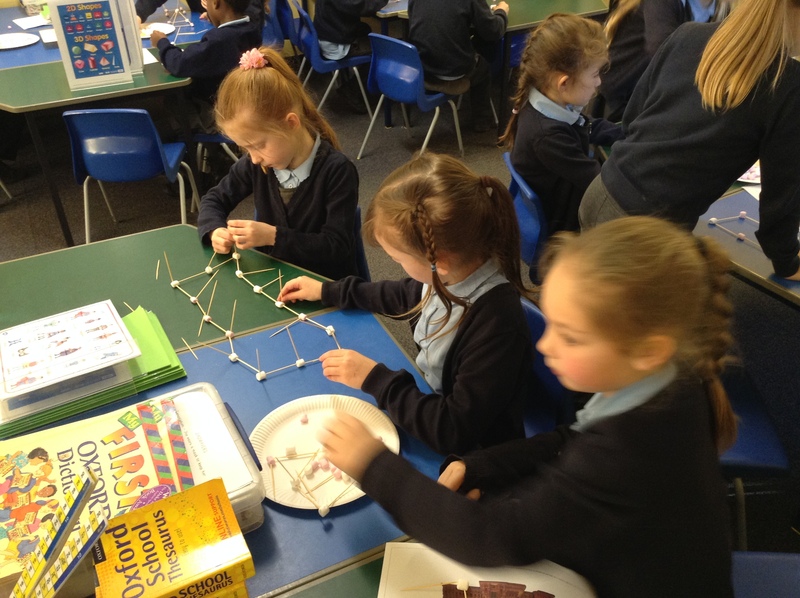 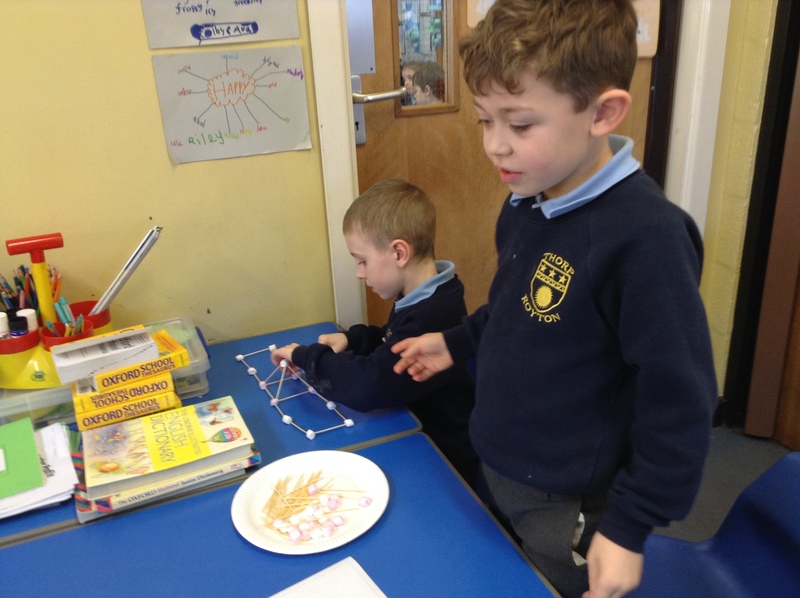 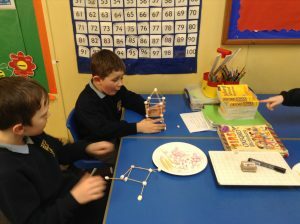 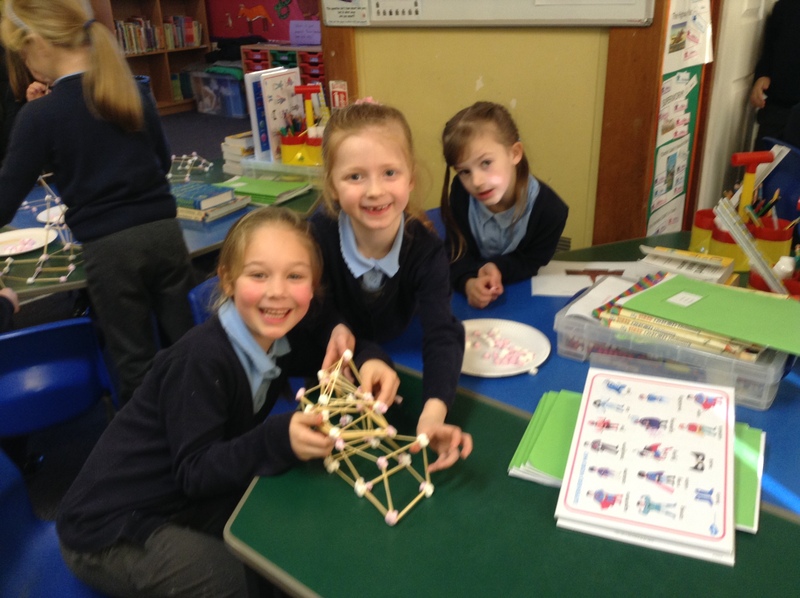 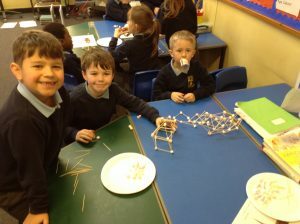 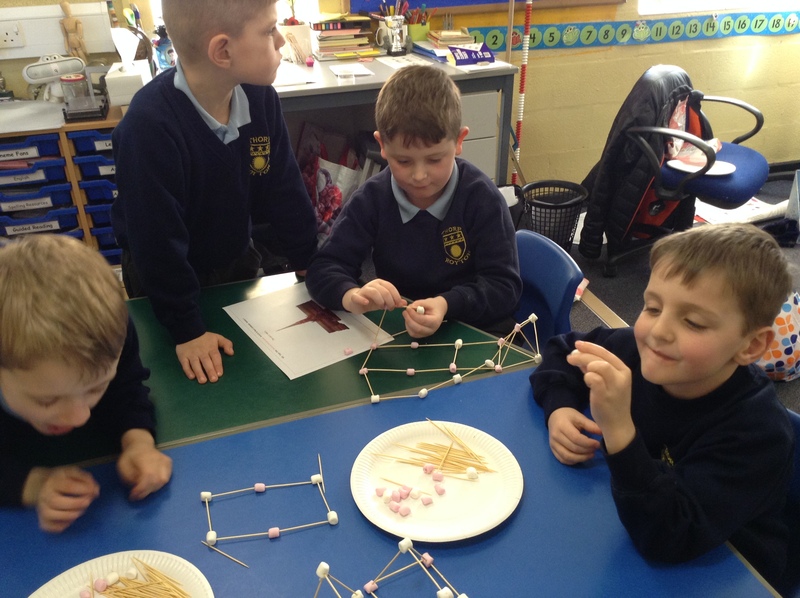 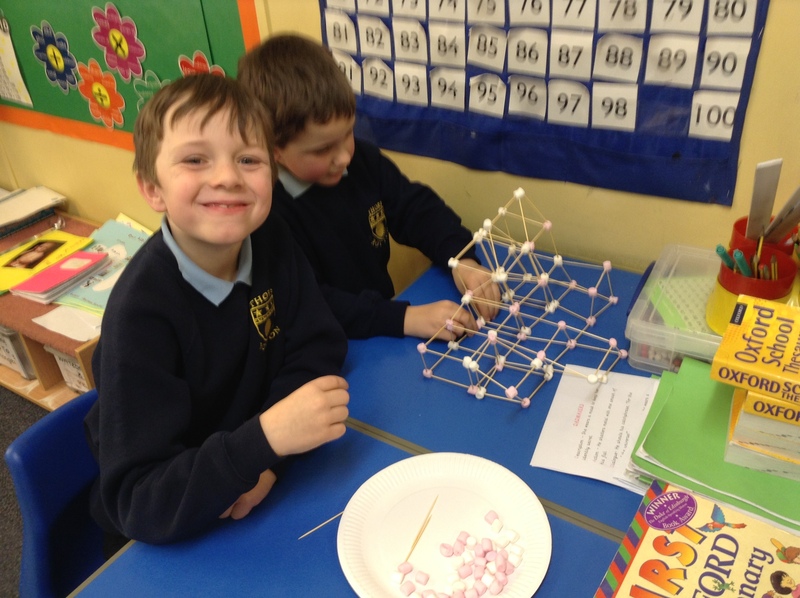 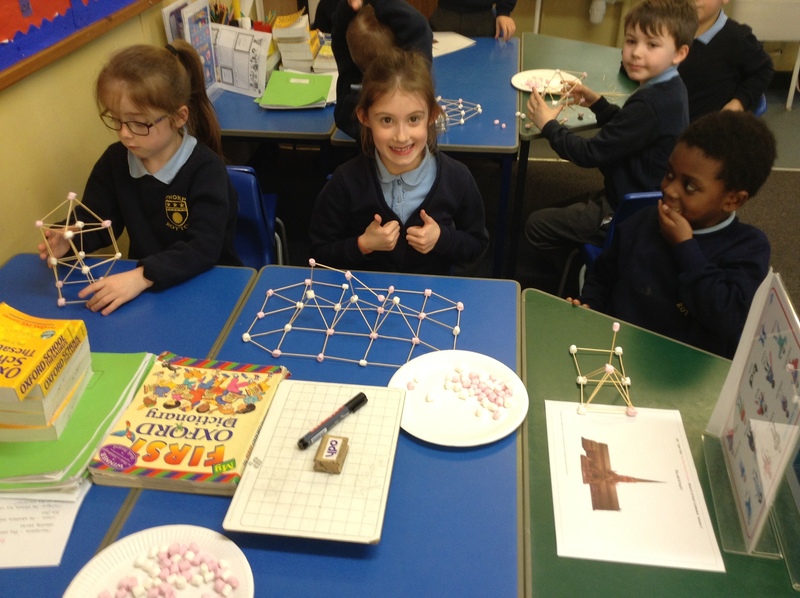 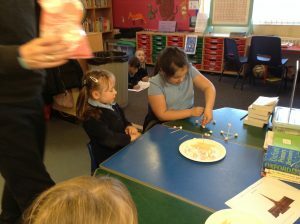 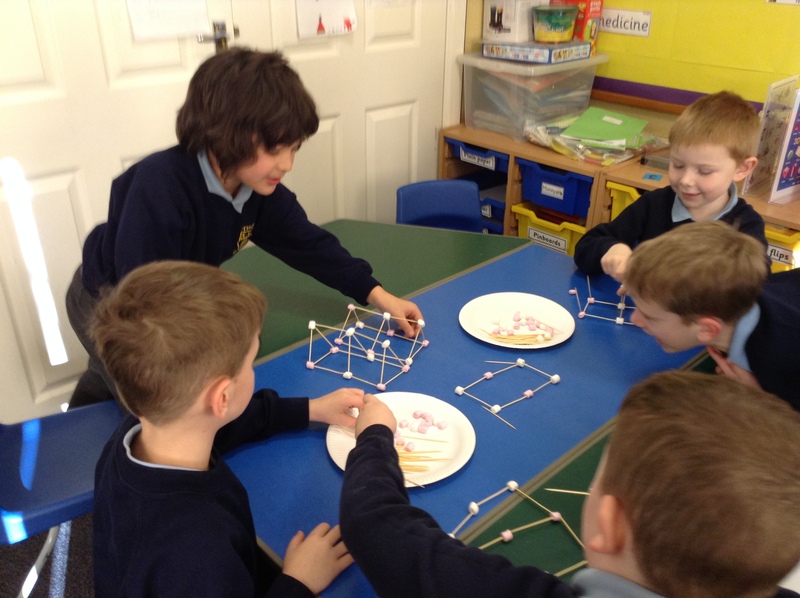 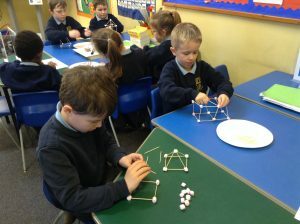 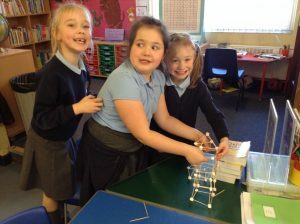 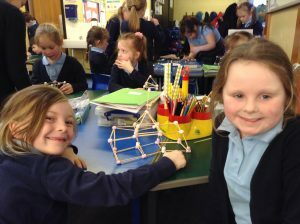 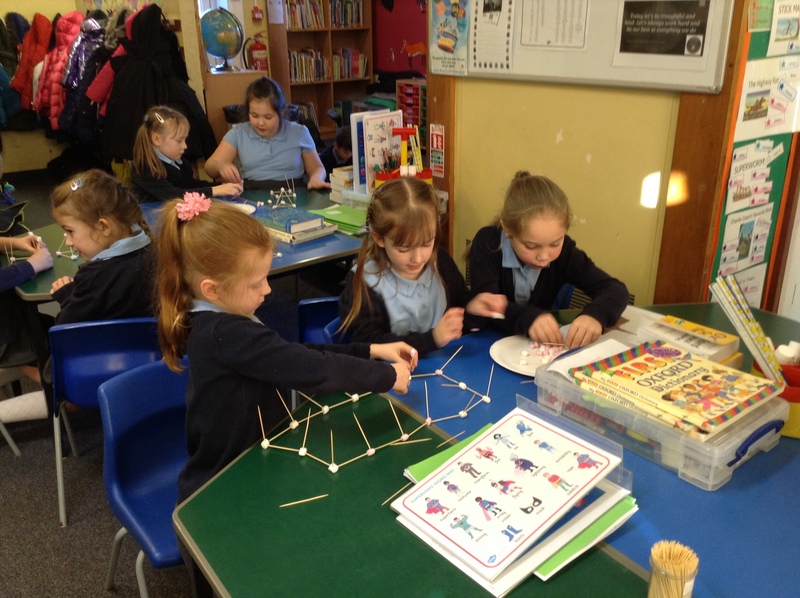 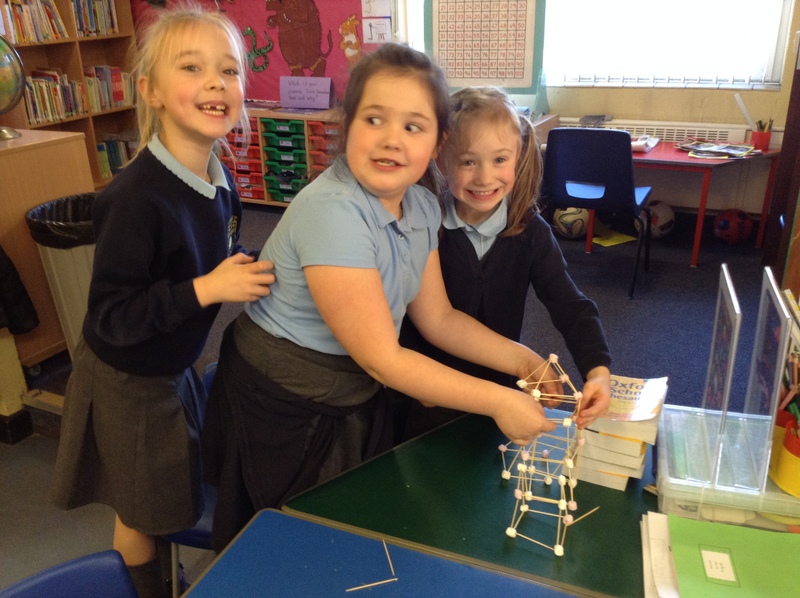 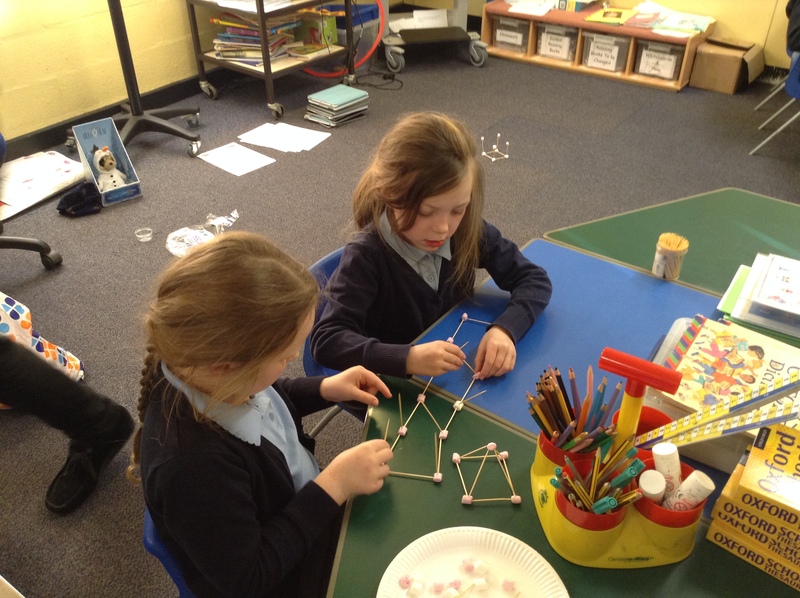 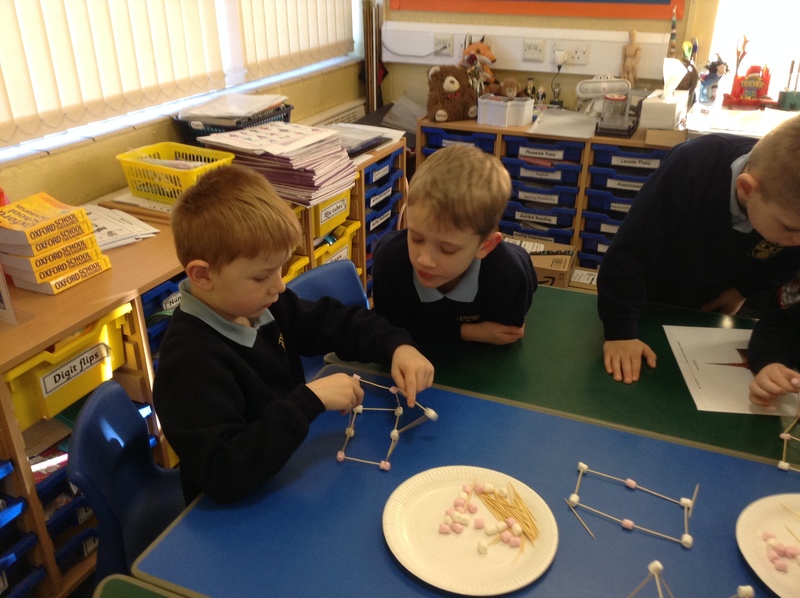 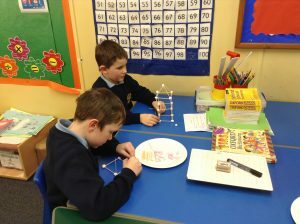 Year 2 have been working on structures in DT based on their shape work in Maths. They have been building their own versions of old St Paul’s which burned down during the Great Fire of London. The bonus is we get to eat the marshmallows after! 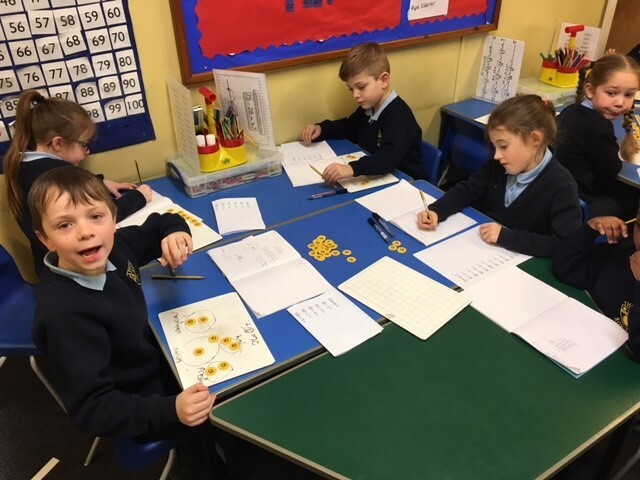 This week in Maths we have been learning how to divide. 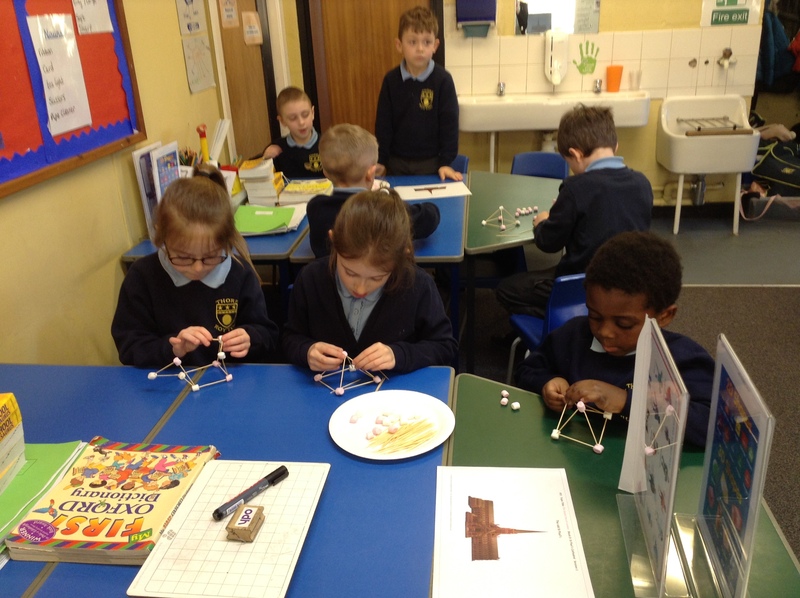 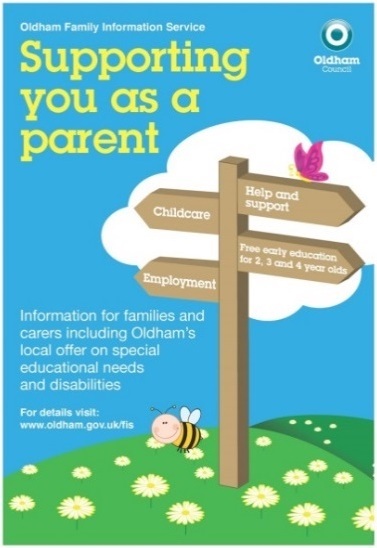 We used lots of different apparatus to help us with this. 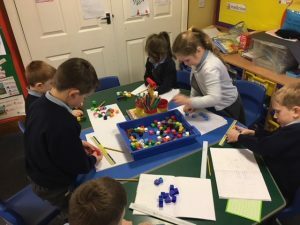 We looked at number families and the relationship they have with each other, this helps us when problem solving.